Awww...He looks so happy! And then promptly, so very, very disappointed. First and foremost check out the poll I put above. It's something I've been thinking about doing for a while, and probably need to come to a conclusion about soon, as I need to start laying out the next chapter. And to reiterate, it probably would be the same amount of content either way. 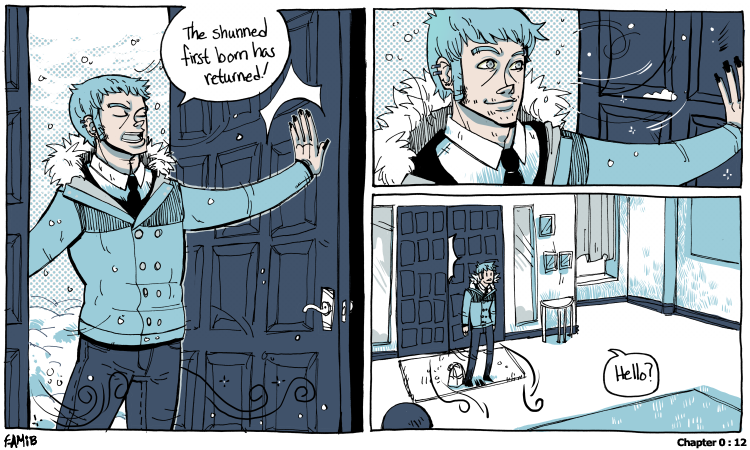 When I originally thumbnailed this page I was going to have Nar declare himself the prodigal son in the first panel. I don't know why I changed my mind, though maybe shunned is more fitting for the current context.